Mini Me Geology Blog » What Would You Do With A Sandstone Rock? What Would You Do With A Sandstone Rock? Sandstone forms when small quartz sand grains cement together from high pressure or when calcium carbonate or quartz precipitates and acts like a glue around the grains. Sandstone rocks form in rivers, deserts, oceans or lakes. Most sandstone is made principally of quartz. However, feldspar and other minerals may also be present in the rocks. Sandstones are white or yellow but can be other colors depending on the accessory minerals in the rock. 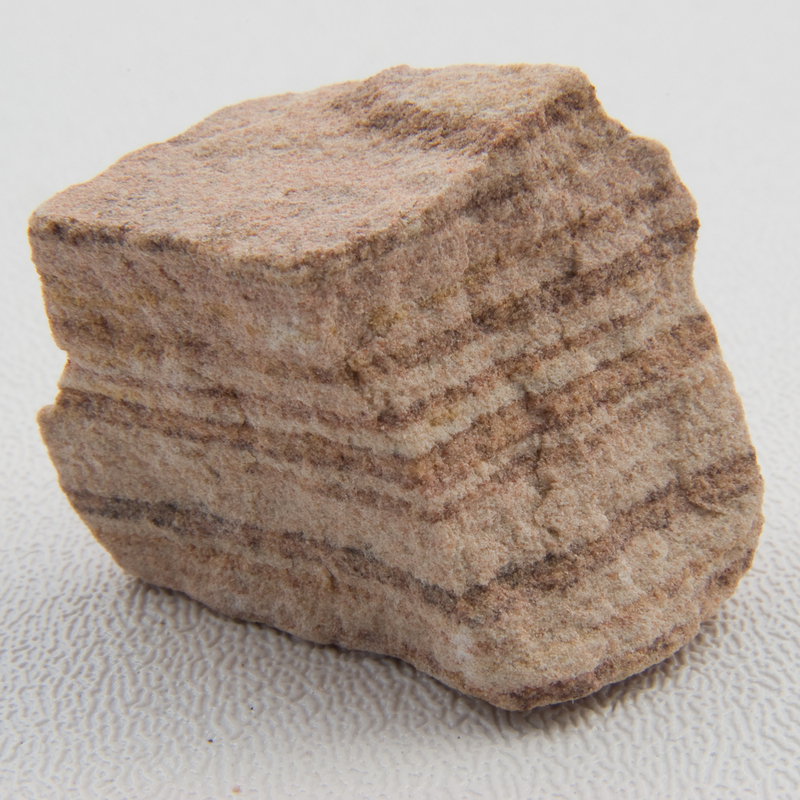 For example, red sandstone results from iron oxide in the rock and often causes bands of color. Sandstone has a medium-grained texture, which means that you can see the grains with the naked eye. These rocks may hold water, oil or natural gas below ground in its pore spaces, or open areas, between grains. Sandstone is very useful around your home and garden in many different forms. Ins ide your home, sandstone bricks and tiles make interesting building materials for walls and floors. Sandstone pavers are attractive in the garden areas as retaining walls, pathway edging and focal boulders. 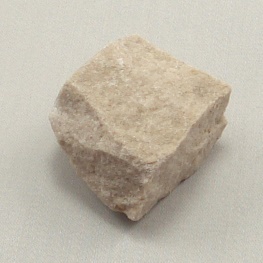 Sandstone gravel is attractive in landscape beds as well and is quite durable due to its high quartz content. The quartz is unaffected by acid rain and is very slow to weather and erode. We have a great selection of sandstones for your projects and collections.